HomeAntisocial behavior: Major retailers do much better broadcasting on social media than they do responding. Antisocial behavior: Major retailers do much better broadcasting on social media than they do responding. When it comes to social media, it turns out that the major U.S. retail brands are a lot better at dishing it out than consuming it. On the “dishing out” side of the ledger, these retailers have been posting an ever-increasing number of social messages aimed at their target audiences. A recent report from Sprout Social Index titled Snubbed on Social shows just how much: In the 3rd Quarter of 2014, the average number of messages deployed by the typical major retailer was around 150, but in the 3rd Quarter of 2015, the number had grown to in excess of 350. But what happens when these retailers are on the receiving end of social messages? Sprout Social has determined that the typical retailer receives around 1,500 inbound social messages over a busy quarter (such as during the holiday season). 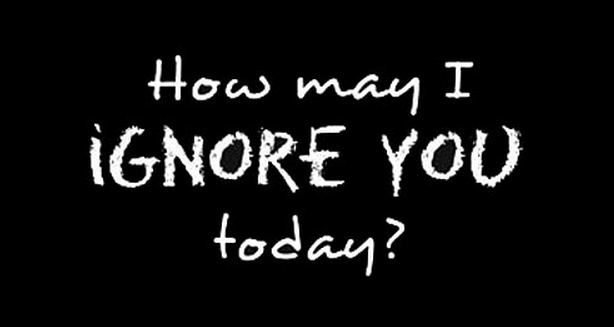 Of these, approximately 40% of the messages are ones that warrant a response. But only about 1 in 6 – fewer than 20% of them — actually get one. And those consumers who are fortunate enough to receive a response are waiting approximately 12 hours to get it. That’s up from ~11 hours a year earlier. One interesting factoid from the Sprout Social reporting is that customer messages on Twitter tend to get a better response from brands. But it’s the difference between merely poor (~14% on Twitter) and downright embarrassing (~9% on Facebook). What are the implications of this (non-)behavior? For one thing, interacting with customers helps drive more interesting and more purchases. 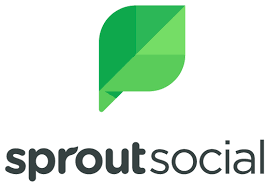 Sprout reports that consumers are seven times more likely to respond to social promotions and other social news if they have had meaningful interaction with the brand. Obviously, ignoring the social messages that come through isn’t the way to build that engagement. One dynamic that appears to be at work is that brands continue to use social media as a vehicle for broadcast messaging, whereas many consumers view social platforms as the place for a more conversational, two-way level of engagement. You know – just like social media is supposed to work. For starters, there are so many ways for people to communicate with companies and brands today (versus only by letter, phone or in person not that many years ago), that too many businesses are either stretched to thin or simply don’t feel the need to respond urgently if at all. Another issue is similarly personnel-related. For brands to respond better would mean hiring and training people who possess the authorization to actually do something about a question or concern. Low-level staff with low wages and benefits and with no authority to resolve issues is a clear ticket to nowhere. Contrast that to the other, more common experience of brands ignoring their consumers to death … and where people never forget which companies aren’t good at responding to their questions or concerns. Does anyone think that reputation doesn’t have a dampening effect on sales? More information about the Spout Social Index can be found here. ← Habits die hard … but there are ways to change buyer expectations.